Thanks to our experience both with cats and in the innovative technical solutions field, we were able to select carefully the materials for our scratching posts. We only picked 100% recyclable, 100% natural and/or 100% sustainable materials – along with zinc-plated miniature hardware ensuring stability and robustness as well as ease of assembly. Safety and well-being are our priorities. 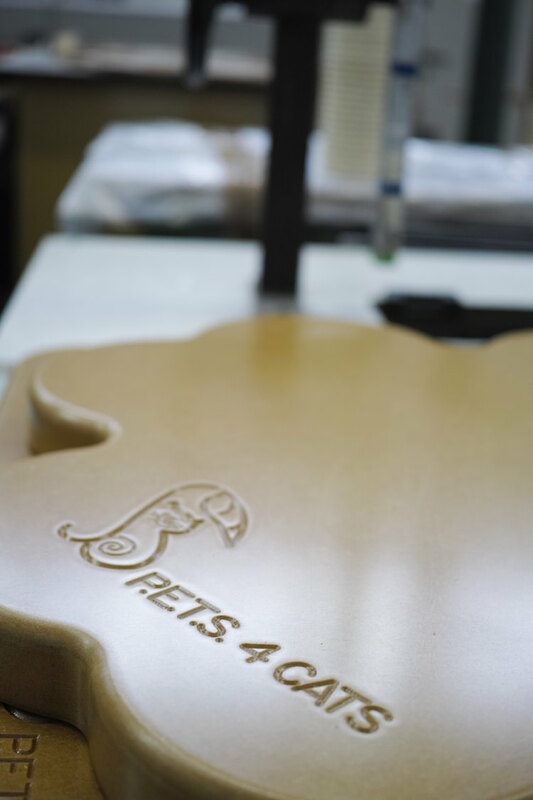 We always make sure that no toxic or noxious substance is used at any production stage, to the benefit of the manufacturers and the families that will be hosting our scratching furniture – and in safeguard of all the cats that will be using it. We haven’t overlooked design. 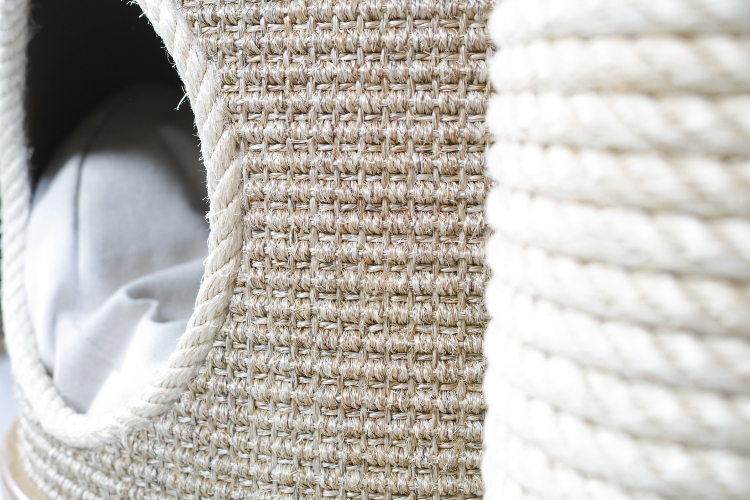 We have traditional scratchers, with and without kennel, as well as scratching posts with hammocks (fabric, wood, or wood and fabric) and cat gyms – allowing your cat to express its felinity while preserving your furniture from any damage. But we have also introduced new nature-inspired designs – flowers, leaves and clovers – that will decorate any room with taste, elegance and a touch of colour while being sober enough as to accommodate the most exacting customer. Not only do we focus on sustainability, quality and design: we are also socially committed. Some of our components are manufactured by a company that promotes the employment of the disadvantaged. All our scratchers feature bases and platforms in recycled wood along with removable pads made of highly transpiring, 100% sustainable fabric from low-environmental and low-energy impact manufacturing processes. Traditional pads are stuffed with petroleum derivatives, which can only be turned into fibre through complex chemical processes. Our pads are stuffed with a OEKO-TEX Standard 100 resinated wadding + a 100% natural and sustainable material obtained from corn which, moreover, has incredibly beneficial properties: it is comfortable, it guarantees high isolation, it is elastic and durable, hypoallergenic, highly absorbing, and makes your cat’s relaxing moments really special by providing it with the right support. We also have an eye for hygiene and your own convenience: our pads can be machine-washed at 30°C. Poles and kennels are made of robust, 100% recyclable cardboard tubes covered by 100% natural, superior quality sisal fibre ropes and mats. Superior-quality cat scratchers: what’s the price? Our prices are just as amazing as our scratchers – and if you are a breeder, you can benefit from our special offers.